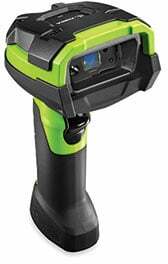 As a member of the Zebra 3600 Ultra-Rugged Series of scanners, the practically indestructible 1D/2D DS3608-HP corded scanner is ready for the world's toughest environments, the warehouse and manufacturing floor. In addition to capturing virtually any 1D or 2D barcode as far as 7 ft. away, these scanners give you the flexibility to capture a wide range of business information to streamline many everyday business processes, including OCR, documents and photos. No matter what types of data your workers need to capture, you get all the features you need for truly unstoppable performance, redefining scanner reliability and management simplicity.